1999-2000 Arctic Cat snowmobile engine overheats refers to when the skimobile’s motor becomes too hot. Overheating can lead to serious engine problems, such as cylinder head warpage, cylinder bore damage, piston damage and other internal engine parts can be ruined in the process. This article details the many reasons why a 1999 or 2000 Arctic Cat snowmobile engine temperature runs too hot. Keep in mind that there might be more than one malfunction that’s causing the engine to overheat. Spark plug heat range too hot. Install lower heat-range spark plugs. Refer to the downloadable factory service manual for spark plug specifications. Low coolant level or no coolant. Add coolant. Carburetors adjusted incorrectly, contaminated with debris or jetted incorrectly. Refer to the carburetor troubleshooting section in the download repair manual, clean carbs or jet correctly, whichever is needed. Carburetor-to-cylinder air leak. Replace or repair gaskets, service take ports or intake flanges. Heat exchangers, no snow for cooling. Select new trail, install ice studs to chew up hard packed now and ice, whichever is necessary. Water pump or thermostat damaged or malfunctioning. Rebuild or replace water pump and replace thermostat. Fuel octane too low. Use no less than 87 octane gas. Rings/grooves carboned. 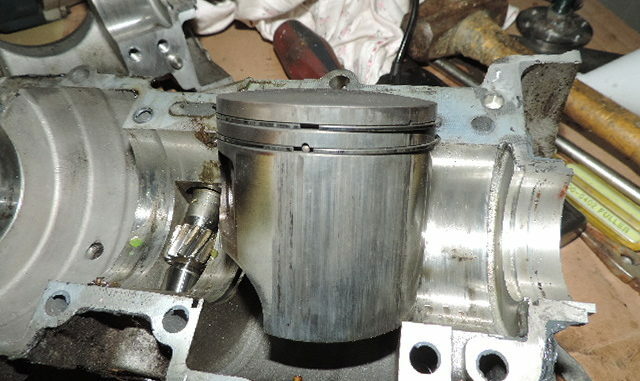 Clean or replace rings or pistons, whichever is needed. Exhaust ports blocked. Remove blockage. Muffler obstructed. Remove blockage from muffler. Gasoline/air mixture incorrect. Either adjust jet needle E-clip position or replace jets, whichever is necessary. Ignition timing improperly adjusted. Time ignition, refer to factory service manual for step-by-step ignition timing procedures. Oil-injection pump defective, malfunctioning or adjusted incorrectly. Either adjust oil injection pump, bleed or replace, whichever is necessary. Primary compression (crankcase) low or absent. Replace worn, damaged engine components or repair as necessary. Always refer to the download repair manual when performing maintenance or repairs to the 1999 or 2000 Arctic Cat snowmobile. Failing to do so can result in serious damage to the engine or other components and cause harm to the rider. Does this repair info apply to my 2000 Arctic Cat Bearcat 340?